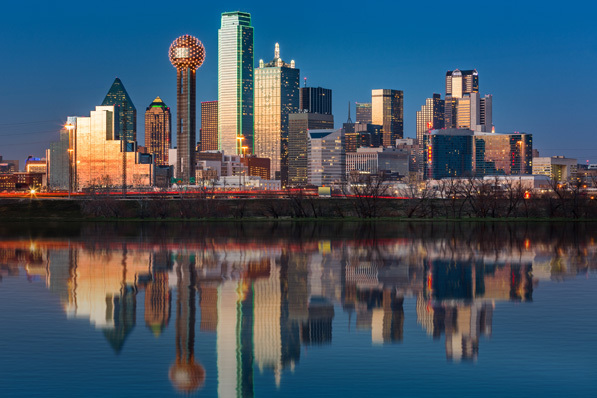 Dallas is one city that weathered the economic crisis considerably well, and its robust infrastructure and business-friendly environment attract new enterprises large and small. It’s an environment primed for a Hispanic business owner to thrive. Rick Ortiz is delighted. In the last decade, the number of Hispanic-owned businesses has doubled in the United States, according to a study commissioned by the US Hispanic Chamber of Commerce. 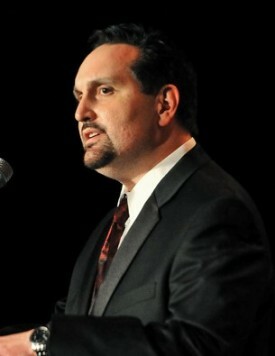 Ortiz is the president and CEO of the Greater Dallas Hispanic Chamber of Commerce. He is excited to see results and to know that organizations like his are succeeding in equipping and empowering Hispanic business owners and entrepreneurs. Hispanic-owned businesses have grown from 1.7 million to 3.2 million in the last 10 years. The US Census’s West South Central region—which includes Texas—is the nation’s third-fastest-growing area for Hispanic-owned businesses with projected increases of 43 percent. The chamber isn’t simply asking its partners to do more business with minority-owned businesses. “We went out, talked to our partners, and found out that some very real issues keep them from giving our members more business,” he says. Through those discussions, Ortiz and his board realized that some members don’t know how to bid for jobs and others don’t understand profit and loss statements. “Some new entrepreneurs and business owners don’t understand the rules and requirements to play the game. You can’t win a contract just because you’re minority-owned,” he says. of the Dallas metro area is Hispanic. of the region’s Hispanics were born in another country. of DFW’s Latinos are under the age of 18.
of Dallas County’s businesses are Hispanic-owned. In response, the chamber created its business assistance center (BAC) program funded by the City of Dallas through the Department of Housing and Urban Development’s Community Development Block Grant. Through the program, Dallas-area residents receive free help on an array of small business topics such as business plan writing, funding, and marketing through face-to-face counseling sessions, workshops, and seminars. Although the chamber has been providing these services since 1994, Ortiz has worked to tie them into measurable results like job creation and revenue growth. Most of the chamber’s 2,000 members work in professional goods and services, construction, and transportation. In 2007, the organization launched a small-business transportation resource center through a partnership with the Department of Transportation. Three years later, after recognizing that many members were struggling with issues related to bonding and insurance, the chamber announced a bonding education program. In the last four years, the program has generated $90 million worth of bonding—or $270 million in contracts. Last year, they expanded to create a Spanish-language program. The bonding program illustrates Ortiz’s drive to address his members’ every need. In 2011, after surveying 10,000 businesses across Texas, his team analyzed the data and used it to create a custom executive entrepreneur program (EEP). “It’s a streetwise, MBA-level curriculum tailored for our members,” he says. “Through it, we connect small businesses to our partners, leverage those relationships, and offer classes that give Hispanic entrepreneurs the business skills and tools they didn’t even know they were lacking.” The EEP empowers small businesses, and as those businesses grow, they stimulate economic growth in Texas and throughout the nation. Ortiz describes the Dallas/Fort Worth (DFW) metropolis (which includes other cities across 12 counties) as one giant, sprawling city. The vast size of the nation’s largest landlocked metro area requires the chamber and its businesses to take a regional approach. “If you only focus on Dallas, you’re going to miss a lot. Our members need to capitalize all over the region,” he explains. The area is also home to several other Hispanic chambers, but Ortiz doesn’t see that as a threat. Instead of competing, he looks to work together and focus as partners on key issues and initiatives. When the local airport—DFW—hired a new CEO, for example, several minority business advocates came together as one voice to address their concerns regarding the area’s main economic engine. Ortiz has seen the success of Hispanic entrepreneurship in DFW time and time again. He remembers when Claudia Mirza came into his office looking for a job. The chamber wasn’t hiring, but after an employee suggested she start a business, Mirza used the chamber’s services to launch a home-based translation company. Today, Akorbi is a multimillion-dollar enterprise with 670 employees. Stories like Claudia Mirza’s motivate Ortiz to continue developing the chamber and its members.